Budget cuts caused the average tuition for attending a four-year public university to increase 15 percent from 2008 to 2010, reported USA TODAY earlier this year. 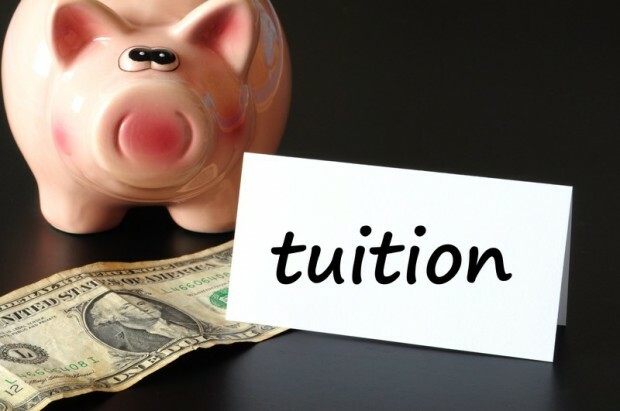 According to the U.S. Department of Education, tuition has also increased significantly at private universities throughout the country. Cost to attend some private institutions of higher learning, after accounting for scholarship and grant aid, is now twice as high as prestigious Harvard. Student loan bankruptcy may be needed for these graduates. Forty percent of states reduced spending for higher education in 2011, resulting in a wave of tuition increases. Education Secretary Arne Duncan noted that college graduates help the U.S. economy remain competitive and advised students and their parents to be smart shoppers when reviewing prospective colleges. Secretary Duncan also called on states to prioritize higher education during their budget revisions. Is Student Loan Bankruptcy Needed? Recent graduates say that many college students do not realize the amount of student loan debt they have accumulated until the time comes to pay the bill. Therefore, it is no surprise that federal student loan default rates have increased sharply during the past couple of years. The two-year default rate was 8.8 percent during fiscal year 2010 and jumped to 9.1 percent during fiscal year 2011. This is showing that student loan bankruptcy is something that courts need to consider. This means that 375,000 students who were required to being student loan payments during the 12 months before October 2010 defaulted by September 2011. Default occurs when the borrower does not make payments for 270 consecutive days. Student loan default hurts schools as well as students. If two-year default rates exceed 25 percent for a three consecutive year-period, a school can become ineligible for federal aid including the very popular Pell Grant. When in default, speaking with a bankruptcy lawyer about whether student loan bankruptcy is an option is a smart idea. Students who are unable to repay their student loans have several options other than default. They can enroll in a deferment or temporary forbearance program to delay payments or ask the lender for student loan cancellation so payments will be eliminated. Some students are eligible for student loan consolidation and a very limited number can have them discharged through bankruptcy. A bankruptcy lawyer can help students pursue this last avenue by filing a separate court action for the loans. The upcoming presidential election has thrust student loans back into the spotlight. Some colleges and universities are also increasing their involvement in the issue. However, until college and university tuition becomes more affordable, which is not likely to happen, many students will find themselves with a huge amount of debt and no way to repay it. As long as the federal government continues to pay colleges and universities the outrageous professor salaries, tuition rates will continue to increase. Student loan bankruptcy may be the only necessary option. Student Loan Bankruptcy Law Changes Needed! I have student loans that I can’t pay. My total student loan debt is over $170,000.00 and I can’t even find a job. On top of that, I was recently diagnosed with schizophrenia and am on SSDI. I haven’t made a student loan payment in over 14 months, and they are all in default. Is it possible to erase these student loans and have them discharged if I file for chapter 7 bankruptcy? Student loans can be discharged in bankruptcy, but it is not easy. With your particular situation being on SSDI and the student loan debt being so high, you may actually have a chance to fight payment on them. If you can show undue burden, such as through the various tests provided by bankruptcy courts, it may be possible to eliminate or get rid of some if not all of the student loan debt. Getting a free bankruptcy evaluation is important and we are here to help! I completely agree, my soon to be husband and myself have over $190,000 in debt. $16,000 car and $3000 credit card debt the rest all is student loans mostly private ones. I never even graduated from school. I live with my father in law who might be loosing the house. We might become homeless. I can not even rent an apartment because of how much of our paycheck will be going to loans. I can not even start a family because i can not even afford to raise them. So my prayers go out to you but as of now there is nothing I can do.